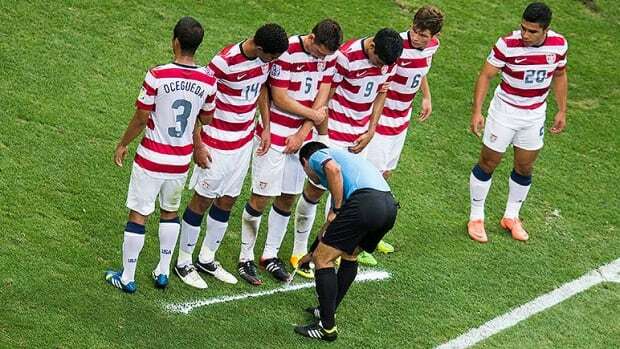 Following the lead of both Italy and Spain, top-flight matches in England will feature the spray, used by the referee to mark the distance between the ball and the defensive wall, making it more difficult for the defending side to encroach. The Premier League had appeared reluctant to commit to introducing the spray, stating it would monitor its suitability, but it has since decided to give the green light. The Premier League chief executive, Richard Scudamore, said: “At the Premier League we are open to developments that enhance the competition and it was clear from watching the World Cup in Brazil that vanishing spray benefitted referees, players, and all of those who watched the matches. The spray will not be used in the Championship, League One, League Two, or the Capital One Cup this season, but it will feature in the Johnstone’s Paint Trophy. Previous PostPrevious International Champion Cup: Inter Milan F.C. vs Manchester United F.C.